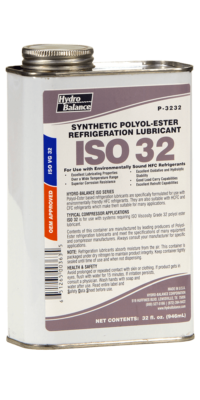 HYDRO-BALANCE® PVE 68 is a new generation polyvinyl ether compressor lubricant for use with HFC refrigerants. 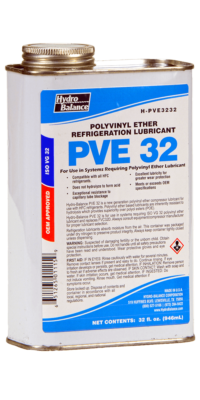 Polyvinyl ether based lubricants are inherently resistant to hydrolysis which provides superiority over polyol esters (POE). 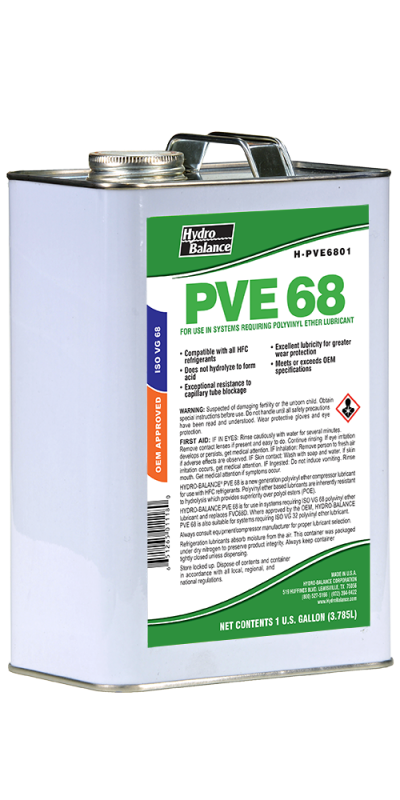 HYDRO-BALANCE PVE 68 is for use in systems requiring ISO VG 68 polyvinyl ether lubricant and replaces FVC68D. 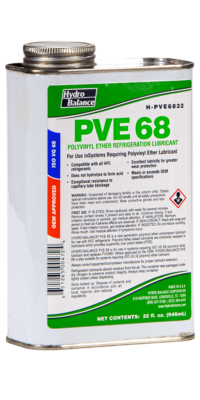 Where approved by the OEM, HYDRO-BALANCE PVE 68 is also suitable for systems requiring ISO VG 68 polyvinyl ether lubricant. Compatible with all HFC refrigerants. Always consult equipment/compressor manufacturer for proper lubricant selection. Refrigeration lubricants absorb moisture from the air. This container was packaged under dry nitrogen to preserve product integrity. Always keep container tightly closed unless dispensing. Store locked up. Dispose of contents and container in accordance with all local, regional, and national regulations.